Lower Ninth Ward, New Orleans | ride. travel. live. A business trip brought me back to a muggy, flood-braced, drought-stricken New Orleans. The Mississippi River was flooding, and had been diverted in part to Cajun country to prevent disaster in New Orleans. In contrast, the land was parched, with temperatures around 35 C.
New Orleans is unique and defiant, managing to stave off oblivion numerous times throughout its turbulent history. The city has taken a battering in recent years with a declining population, high crime, poverty, and the aftereffects of Hurricane Katrina. The images of Katrina are familiar, it left 80 % of the city under water for a month, and was a social, political, and physical turning point for the city. Many people left the city, although many people have also returned. The French Quarter, Garden District, and other tourist areas were on high ground, and got through the hurricane with light damage and minimal flooding. 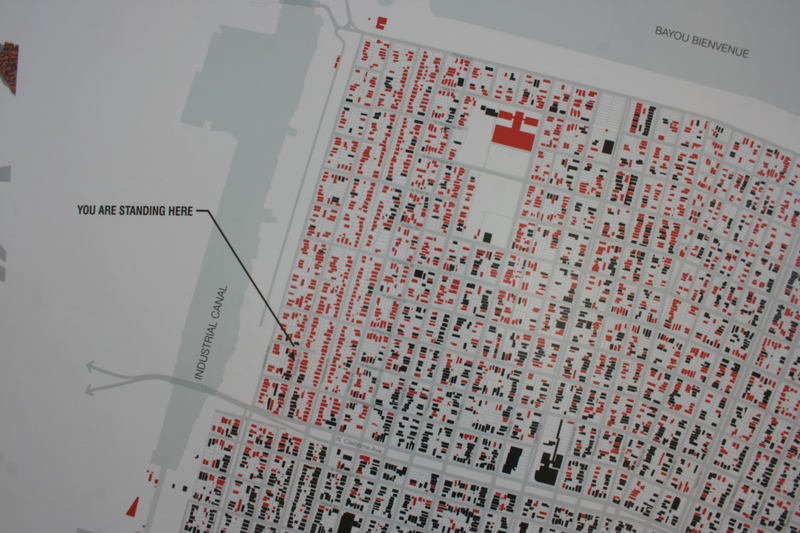 Other areas, including much of Mid-City, and most famously the Lower Ninth Ward, among others, suffered badly. I took a bike tour of the Lower Ninth to see for myself how the area has fared since the hurricane. This area is downstream of Bywater, Faubourg Marigny, and the French Quarter, east of the Industrial Canal, a 30 minute bike ride from the Quarter. 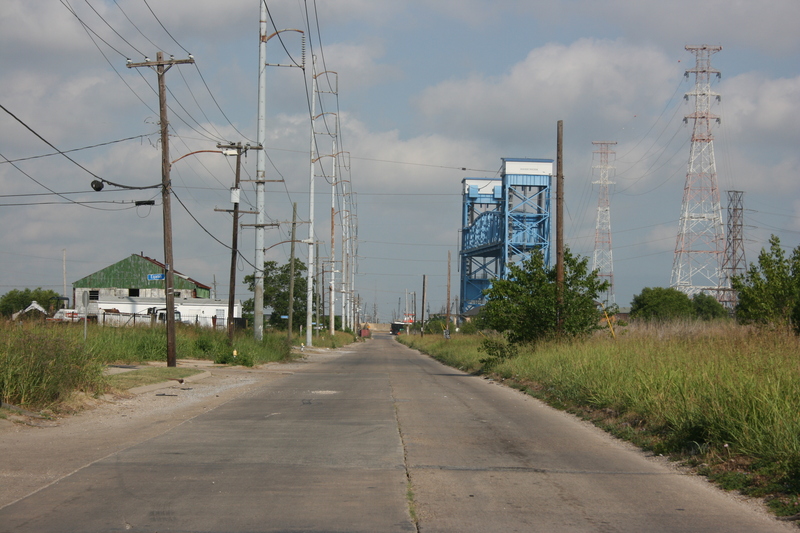 The neighborhood is infamous for being the hardest-hit part of town in the aftermath of Hurricane Katrina. Specifically, two major levee breaks on the Industrial Canal spilled water east into the Lower Ninth. 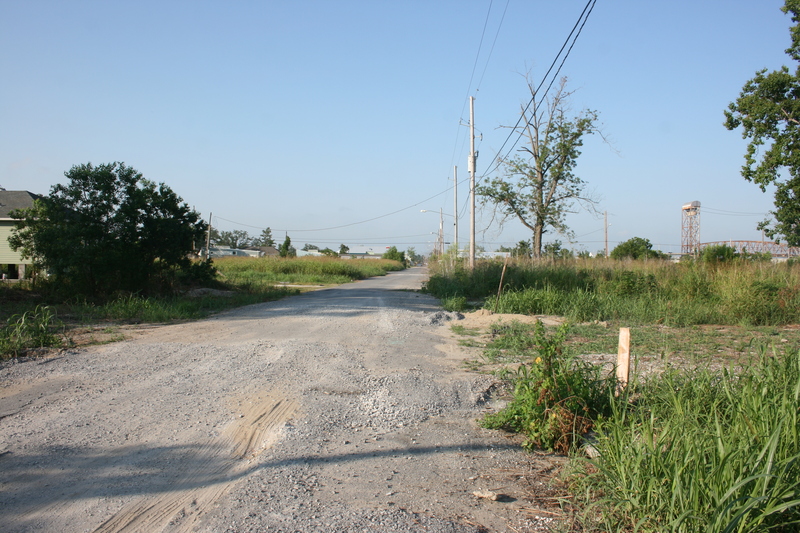 A blocks-long section gave way north of Claiborne Avenue, and a second section failed further north at Florida Avenue. Additional breaks at the Metarie border and the London Avenue Canal led to the flooding in the midsection of the city. The Lower Ninth Ward continues to rebuild, although it continues slowly, and there remains ample evidence of the catastrophic effects of the flooding. 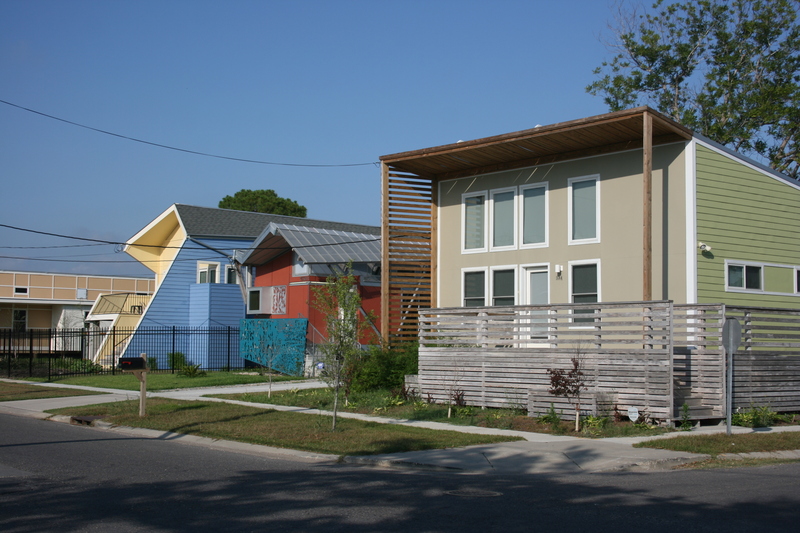 A number of architecturally innovative houses have been built in a 20 square block area north of Claiborne, immediately east of the new levee, spearheaded by the Make It Right foundation. Still, this represents only a small percentage of the 4000+ homes destroyed in the Lower Ninth Ward alone during the storm and its aftermath. The story continues to play out, as investment in the neighborhood, already sparse before the hurricane, remains that way. People say they will return when the services return, while potential investors say that they will return when people move back. For now, it resembles Detroit in many places, a regular grid of streets devoid of houses and businesses serving the daily needs of its population. Freshly mowed, will the residents eventually rebuild here? 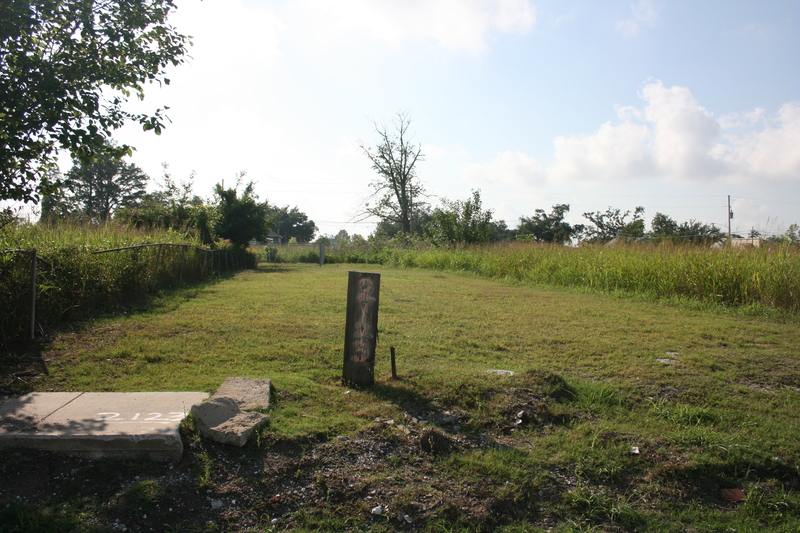 It remains clear where the levee break occurred, as certain areas 5 blocks inland were wiped out and are now overgrown with vegetation. Residents who were living in the immediate area, who could not get out of the city, had no chance. 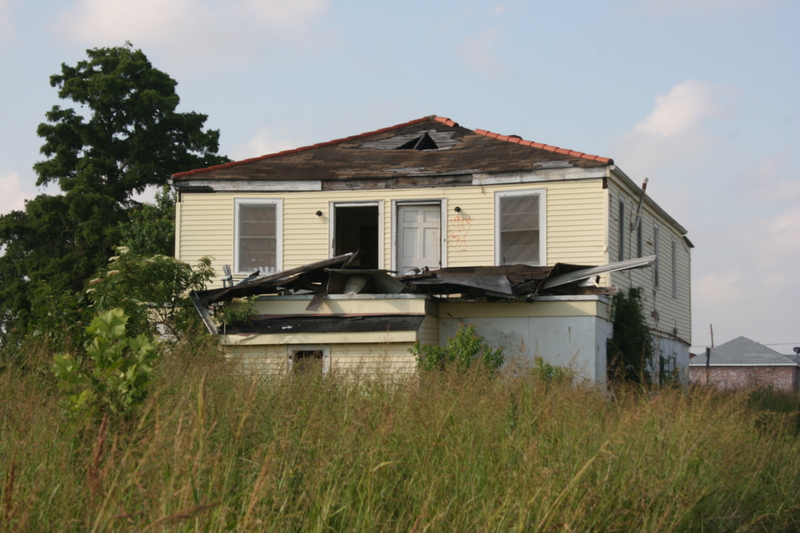 The death toll in the neighborhood was disproportionately high, accounting for nearly 60 % of the fatalities attributed to Katrina. 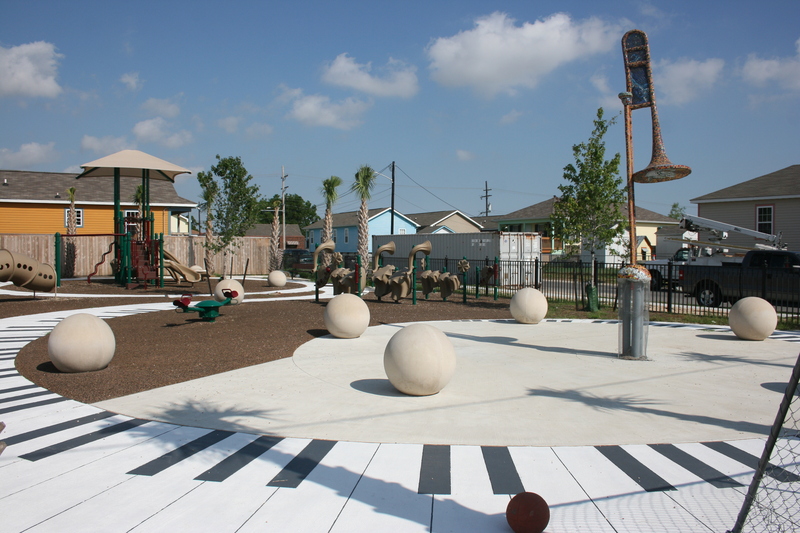 On the other side of the Industrial Canal is another rebuilding effort spearheaded by Ellis Marsalis, known as the Musicians’ Village, and being constructed with help from Habitat for Humanity. This section of town is more physically intact despite being flooded, but still bears the familiar marks of abandoned houses scrawled with the X’s from the authorities post-Katrina. On a related note, I biked through the site of the former Desire Projects and past the Florida Avenue Projects. I spoke to a resident of the new mixed-income, low rise housing along Desire Parkway, and he said that it was now a decent place to live. The Florida Avenue Projects look more ominous, despite the relatively new construction, they have a threatening feel to it, with graffiti slowly crawling up the walls. What do the red and black houses represent? Also, is there a larger picture of this map? Red houses: structures destroyed, black houses: structures still standing post-storm. I’m not aware of a larger version, just click on the picture for a high resolution version.